There are two options for connecting to a PostgreSQL database: Using the odbc package with a database driver; Using the RPostgreSQL package... What needs to be done depends on where the connection initiative is done. If the initiative is done from the Oracle side, you could use dg4odbc and configure it with the odbc driver and connection details for the Postgress database. 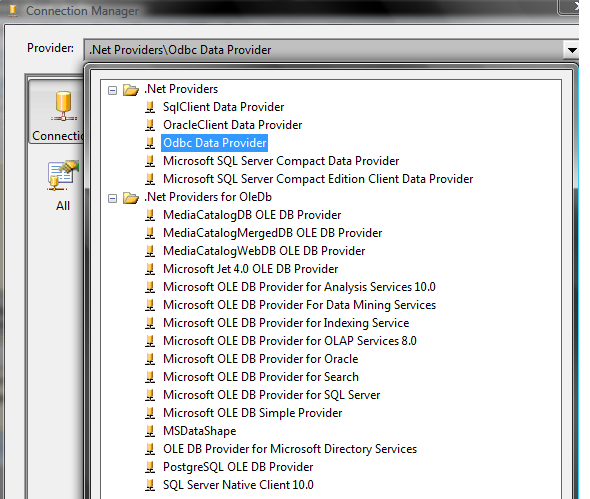 Any application that supports ODBC or JDBC can connect to PostgreSQL database server. In addition, if you develop an application that uses an appropriate driver, the application can connect to the PostgreSQL database server as well.... Two things. 1. I think the driver should be "postgresql" in the odbc.ini (the title in odbcinst.ini) and 2. there is a command-line tool "isql" which can be used to test your unixodbc connections. We have created an ODBC connection against the remote PostgreSQL instance, created a linked server on top of it and then executed two commands to copy across the data. There was no need to export the source data into text files and importing them using BCP or BULK INSERT.